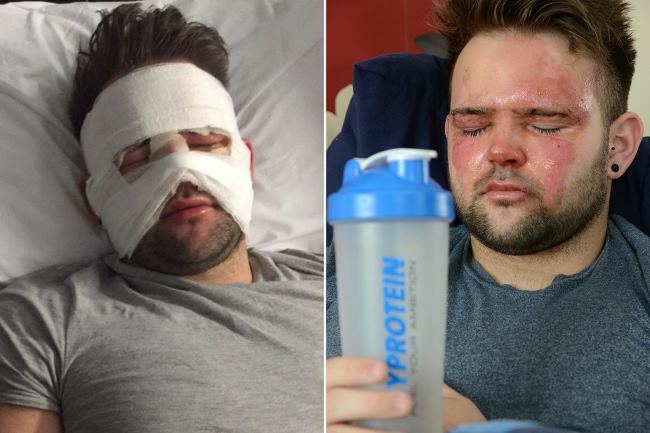 A teenage student suffered third degree burns after a plastic protein shake beaker filled with boiling water exploded over his face. 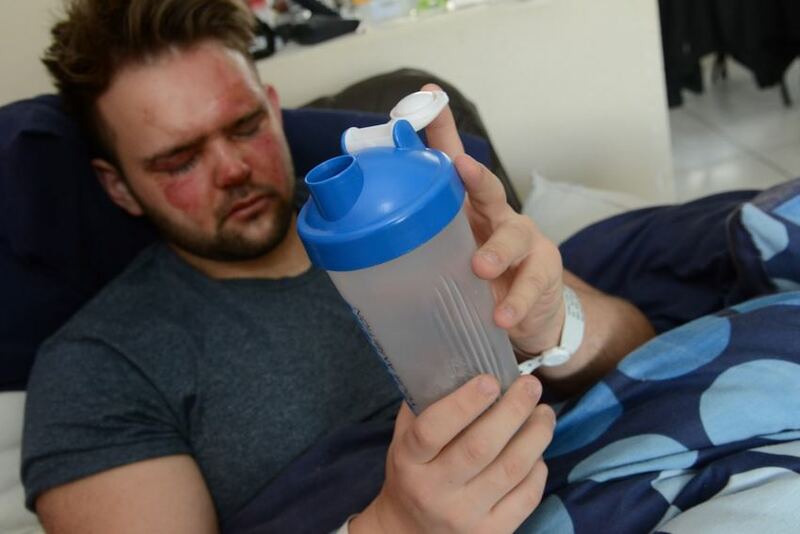 Dion Chilton, 19, poured boiling water into the drink container to sterilise it, but when he put the lid on the high heat the pressure caused it to explode. 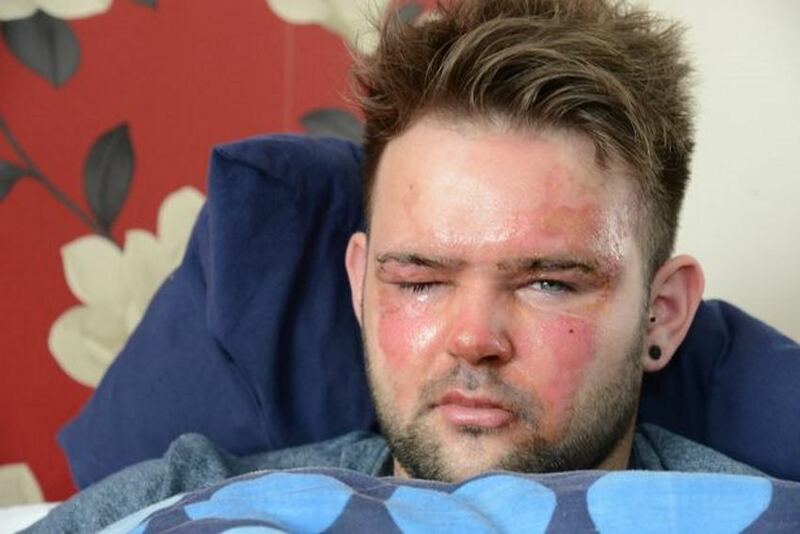 The maths student said he feared he was going blind as the water scolded his face and his skin started to peel off. His older brother Brendan, 25, found him writhing in agony on his kitchen floor and called 999. Dion was rushed to the William Harvey Hospital in his home town of Ashford, Kent, after the accident. 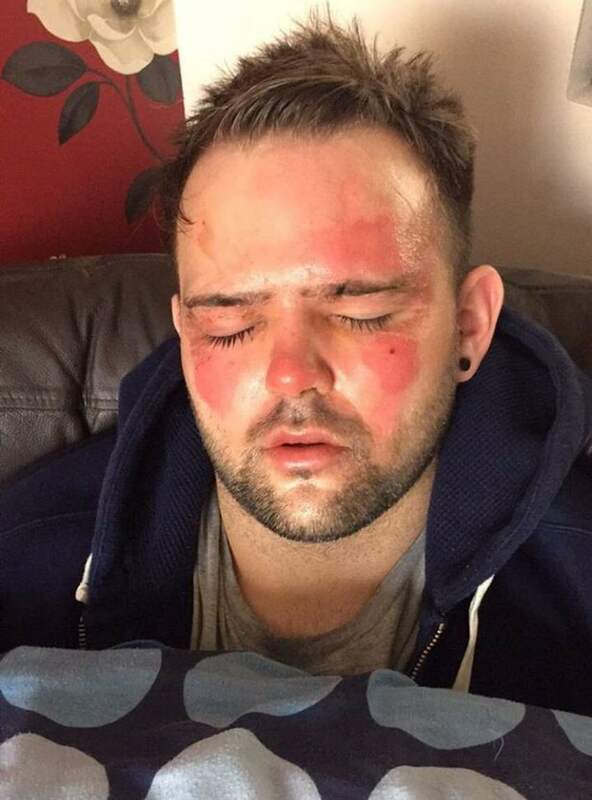 Dion, who is studying at at Kent University, said: “I poured water from the kettle in a small flask, put the lid on and where the water was boiling and there was too much steam it just exploded in my face. “All my skin started peeling off my face. Luckily, Dion has been told he will not suffer any permanent damage or scarring and is expected to regain full sight. Dion’s brother Brendan, who is a Labour councillor on Ashford Borough Council, said the incident highlights the need for the borough to keep its A&E department. The East Kent Hospitals University NHS Foundation Trust is considering closing the A&E department at the William Harvey Hospital to make up an £8m black hole in its finances. The trust, which runs the William Harvey, Kent and Canterbury and Queen Elizabeth The Queen Mother in Margate, has said having a single A&E department in east Kent is one option it is considering in its “essential” reshuffle. The trust says no decision has been made and public consultations on ideas will take place later in the year.